New research describes for the first time the role that warm, dry winds (katabatic winds) play in influencing the behaviour of Antarctic ice shelves. Presenting this week at a European conference scientists from British Antarctic Survey (BAS) explain how spring and summer winds, known as föhn winds, are prevalent on the Larsen C Ice Shelf, West Antarctica and creating melt pools. The Larsen C Ice Shelf is of particular interest to scientists because it of the collapse of Larsen A in 1995 and Larsen B in 2002. 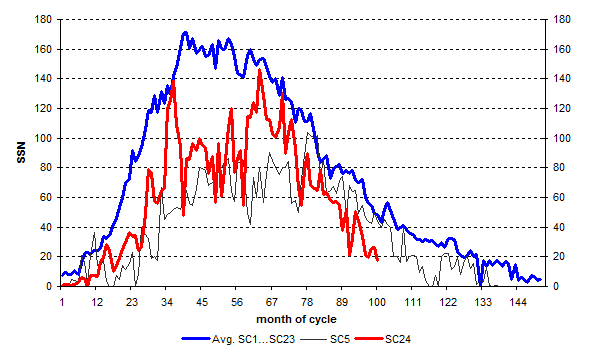 The researchers observed the föhn winds, which blow around 65% of the spring and summer period, extend further south and are more frequent than previously thought, and are likely to be a contributing factor that weakens ice shelves before a collapse. The results are presented this week (Tuesday 25 April) at the European Geosciences Union General Assembly (EGU) in Vienna. In 1995 and 2002, the Larsen A and B ice shelves collapsed, depositing an area the size of Shropshire into the Weddell Sea. Whilst ice shelf collapse doesn’t directly contribute to sea level rise, the glaciers which fed into the ice shelves accelerated, leading to the loss of land ice, and subsequently indirect sea level rise. The processes responsible for the collapse of these ice shelves were largely debated, and it is now thought that crevasses on the ice shelf were widened and deepened by water draining into the cracks. Föhn winds are thought to be responsible for melting the ice shelf surface and supplying the water. 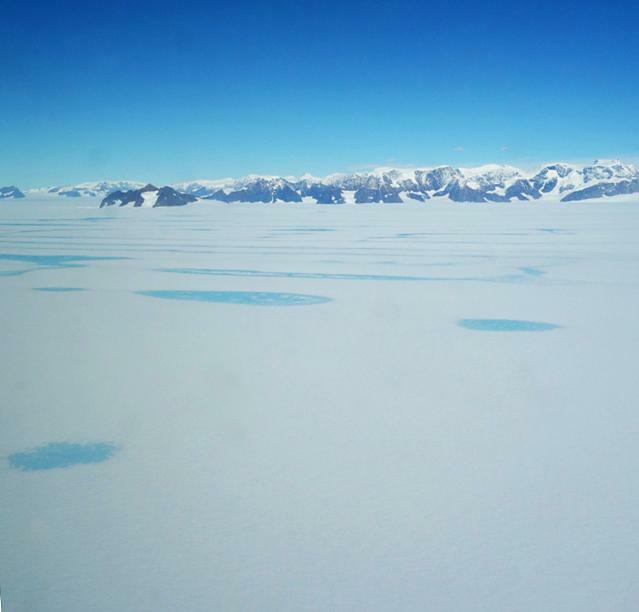 The findings describe when and where the warm, dry winds occur over the Larsen C Ice Shelf, the largest remaining ice shelf on the Antarctic Peninsula (roughly the size of Wales). Föhn winds were measured from near-surface weather stations and regional climate model data over a five year period and observed all year-round, but were most frequent in spring. “What’s new and surprising from this study is that föhn winds occur around 65% of the time during the spring and summer. And we didn’t know how much they influence the creation of melt pools and therefore are likely to weaken the ice shelf. Whilst a high number occur in spring, the combined warming over a number of days leads to much more surface melting than was experienced during days without föhn winds. This is important, as melting during summer and re-freezing during winter weakens the ice surface, and makes it more at risk of melting again the following season. No one knows the full magnitude, but it’s huge. How big is margin debt really, and how much of a threat is it to the stock market and to “financial stability,” as central banks like to call their concerns about crashes? Turns out, no one really knows. What we do know: Margin debt, as reported monthly by the New York Stock Exchange, spiked to another record high of $528 billion. But it’s only part of the total outstanding margin debt – which is when investors borrow money from their broker, pledging their portfolio as collateral. An example of unreported margin debt: Robo-advisory Wealthfront, a so-called fintech startup overseeing nearly $6 billion, announced that it would offer its clients loans against their portfolios. Last week I ran into a friend whom I’d been worrying about. He’s a real estate appraiser and his work had been drying up as interest rates rose and homeowners stopped refinancing their mortgages. But now he’s back to being happily swamped because instead of refinancing, everyone is buying — often, he says, for above the asking price. A couple of days later my wife and I were at a slide show put on by friends just back from New Zealand. They’d heard that a neighbor was thinking about selling his house and on an impulse made him an offer. He accepted, and our friends became instant homeowners. Grant Wood’s 1930 painting “American Gothic” is quintessential Americana. The austere depiction of a farmer and his land evokes the agrarian core that has long underpinned the United States’ geopolitical strength. Today, the U.S. agricultural system is still central to the country’s success, though it looks much different now than it did in Wood’s time. Small family farms have given way to massive industrial operations, and the agricultural sector as a whole has become far more globalized. In fact, despite its reputation as the “breadbasket of the world,” the U.S. agricultural sector depends as much on other countries as they depend on it. The United States exports more than 20 percent of its agricultural production by volume, and export revenues account for about 20 percent of net farm income. As productivity improves each year with help from technological advancements, moreover, it will outpace domestic demand, leaving exports to sustain the U.S. agricultural sector. But the extent to which they can depends in large part on the future of international trade deals such as NAFTA. U.S. agriculture lobbies have long advocated trade agreements to keep the country competitive with other major producers. Since the mid-20th century, the General Agreement on Tariffs and Trade and subsequent deals have sent the value of agricultural exports from the United States soaring. NAFTA gave U.S. agriculture another boost when it took effect in 1994. The deal opened a massive market in Mexico to corn producers in the American Midwest, while also providing American consumers with a wealth of fruits and vegetables from their southern neighbor. It was hardly surprising, then, that the U.S. agricultural sector rallied behind the Trans-Pacific Partnership agreement before it fell apart. Nor is it surprising that the United States’ farming industry is wary of the current administration’s plans to renegotiate NAFTA. Mexico is already working to expand its trade ties with South American countries such as Brazil and Argentina to offset the repercussions that a NAFTA overhaul would have on its agricultural imports and exports. And the U.S. agricultural industry will likewise have to deal with the fallout of a revised trade deal. Farm states — especially those, such as Texas, that do more trade with nearby Mexico — would feel the effects of the changes most acutely. After all, much like manufacturing, agricultural processing depends on intricate cross-border ties. Cattle born in Mexico, for instance, are often raised and slaughtered in Texas for export back across the border. This won’t be the first time a disagreement in the NAFTA bloc has targeted the United States’ agricultural sector. In 2009, Mexico imposed tariffs on specific facets of the U.S. agricultural industry during a dispute about trucking. By targeting individual congressional districts, including parts of Oregon and California that rely on agricultural and processed food exports, Mexico City pressured Washington into complying with the trucking ruling. But agricultural communities are losing their political clout; in 2006, researchers at Montana State University found that farming is the primary economic activity in just 40 of the United States’ 435 congressional districts. The agricultural lobby has atrophied enough, in fact, that the last farm bill — a hefty piece of legislation proposed every five years to fund the country’s agricultural activities — failed in 2013, before Congress eventually passed a diluted version. Spending on lobbying activities for agribusiness, too, has declined in recent years, though it is still higher than it was at the start of the 21st century. Considering their waning influence in U.S. politics, the country’s agricultural producers were particularly nervous as President Donald Trump took aim at their two most important trade partners, China and Mexico, during his campaign for the presidency. Several agribusinesses and farming concerns joined together to write a letter to the president after his inauguration in January outlining the importance of open trade to the agricultural sector. If Trump’s efforts to correct the United States’ trade imbalances prompted countries such as China or Mexico to curtail their imports of U.S. agricultural products, for instance, the American farming sector would suffer disastrous consequences. So far, though, the worst-case scenario appears unlikely. Geographic constraints, coupled with 20 years of progressive integration in numerous industries, including agriculture, will limit the Trump administration’s options to deliver on its promises to amend or discard international trade deals. That’s good news for U.S. agriculture. Domestic demand alone would fall far short of supporting production in several agricultural sectors. Without China and Mexico, the pork, beef, grain and dairy industries would have no clear alternative market to turn to that could match those countries’ demand, and excess supply could cause prices to plummet. But until the negotiations over NAFTA are complete, the U.S. agricultural sector’s future will be tinged with uncertainty. Joint Petition to Reconsider: Although not discussed in prior TWTWs, SEPP joined the Competitive Enterprise Institute (CEI) in filing a joint petition to the EPA to reconsider its 2009 finding that greenhouse gases, especially carbon dioxide, endanger public health and welfare. The petition was filed on February 17, 2017, and slightly revised on February 23. Such actions fall under the “right to petition” stated in the 1st Amendment of the Constitution. The petition has added weight because both CEI and SEPP originally objected to the endangerment finding. The filing has been in the news, but TWTW has mentioned it only in passing. The legal issues were handled by CEI. The chance of success is not high, but the action is important.